Premium hair brand, Oribe quick became my favourite hair brand of all time sometime last year. The range packs a serious punch in the hair stakes and is full of gems that I can't live without. I think I'd happily just use Oribe products on my hair for the rest of my life. Despite it’s hefty price tag, there is no doubting the quality and the fact that these products just work for me. I do tear up paying £30 for a glorified dry shampoo sometimes. The brand is whole heartedly the best thing for my giving my hair the look I like. I've tried a ton of products over the years, but nothing has lived up to these. My love affair started when I invested in a can of the Oribe Dry Texturising Spray. It gives a beachy matte texture which gives volume that lasts. I cannot live without this product, if I recommend one product from Oribe then I'd definitely invest in this one. Three cans later, and I'm hooked. The next item I bought was the Apres Beach Spray, which is like a dry salt spray. This gives my hair a dishevelled dirty, beachy texture, which I personally like although I know it's not to every ones taste. Then there is the Oribe Thickening Spray - a next level pre blow dry treatment. A seriously hair-raising, super volumizing product. Despite my love for it when used incorrectly can leave my hair looking a bit 80's. I spray a good amount of pumps into the roots and blast with a hair dryer forest results! The latest edition to my Oribe club is the Oribe Surfcomber Mousse. Forget everything you know about mousse, this is literally on another level. I've been using this to give my hair volume pre-blow-dry. Scrunched into wet hair, it makes my hair big without that old fashioned, dry crisp mousse feeling. A must for long bob length, poker straight hair like mine who needs a little oomph pre styling. It adds the beachiness of sea salt spray and the boost of mousse. What more could a gal want? In all, I friggin love this brand, I don't see my love slowing down. Premium haircare was something I was never hugely fussed on until recently. Oribe has totally revamped my hair styling routine, and I finally feel like my hair looks the way I've always wanted it to look! 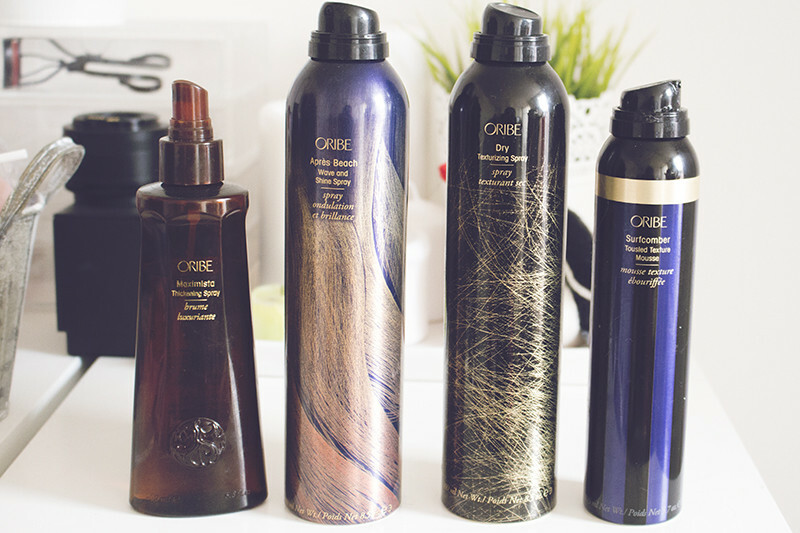 Have you tried anything from Oribe? Fossil rolex replica sale ranges normally Stella Watches, so you'd better have all these done at the time when you purchase the Rolex watch. One among the most sought after models of hublot replica sale is the Bubbleback. A few other thing you should to note when buying pre-owned tiles is the warrantee. Triplock Crown Seal this pertains to the owners or else future owners related with the fake rolex sale. The reason just for this is in which it the bezel setting is so distinctive that snagging the replica watches sale that are on the follow along on clothing or other fabrics is not possible. In order to find out related to dreplica watches uk disengagement theory, theories, depression treatment, get rid of depression, depressive disorders replica watches sale and other information.